← Bride of Frankenstein Pops ? Aren’t these the cutest little jack-o-lanterns? 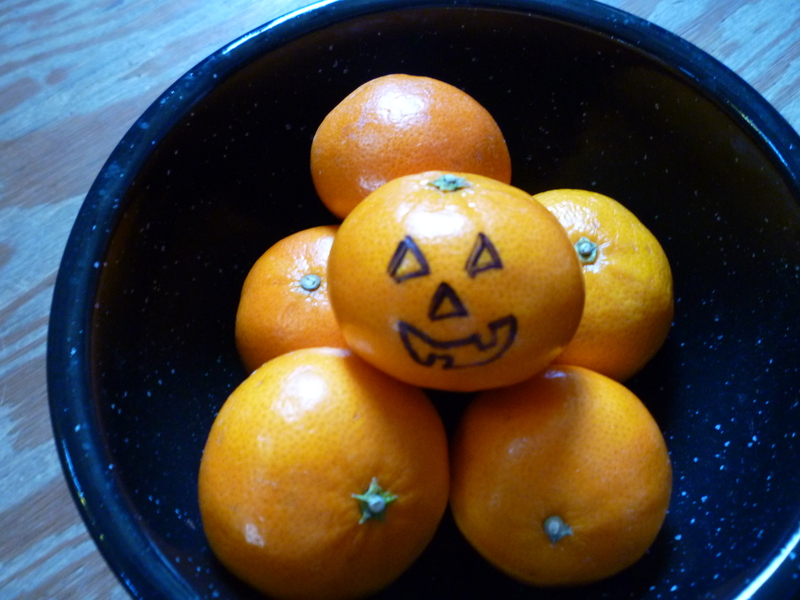 Well, they are really tangerines and a face drawn with a Sharpie marker … which is non-toxic. My friend, Gwen, made them … she is so clever! The recipe is from King Arthur Flour … I simplified it by using store-bought biscuits. Here is a quick summary … and then the recipe with full directions. Preheat the oven to 450°F. Lightly grease an 8″ square or 9″ round pan. Make the syrup … chop the cooked bacon into 1/2″ pieces. 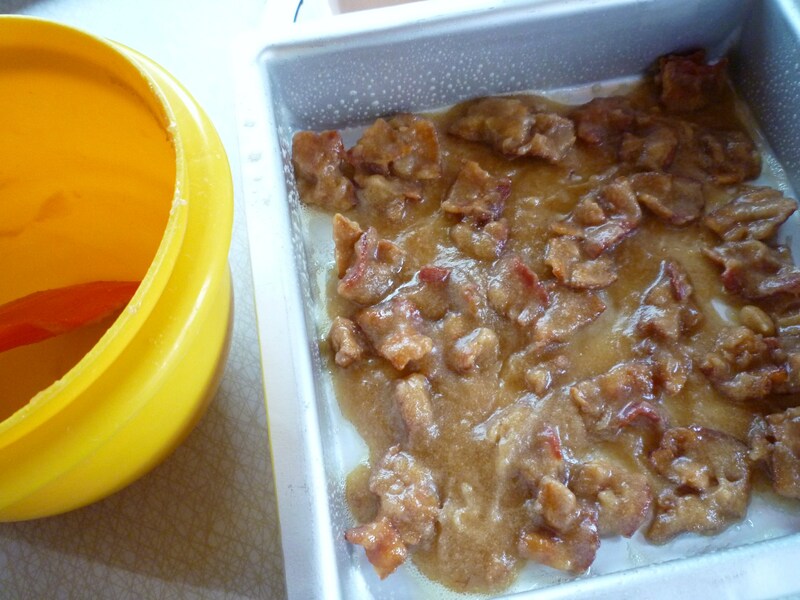 Combine the bacon with the brown sugar, flour, maple syrup and melted butter. Stir until well combined. Spread in the bottom of the prepared pan. Cut the biscuits in half and arrange on top of the syrup mixture. Bake 10-12 minutes or until biscuits are golden brown. 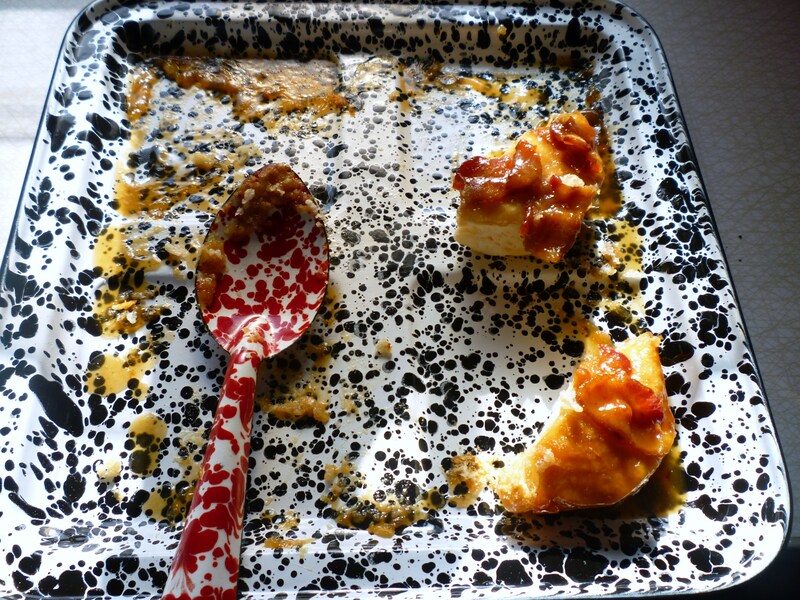 Remove the biscuits from the oven and immediately turn the pan over onto a serving plate. Lift off the pan, and scrape any syrup left in the pan onto the biscuits. 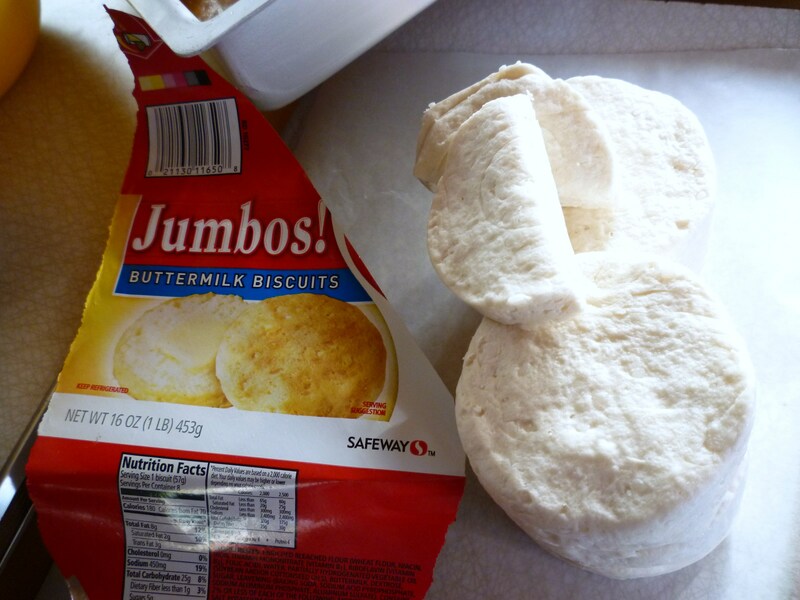 Pull biscuits apart to serve. Well these do sound so yummy and easy, guess I’ll have to try them. Give them a try … you will be happy that you did! You are a baking/cupcake genius. I found you via Edible Crafts and can’t look away! I especially love your witch hats and witch leg cupcakes. I would love to blog about them on my blog and credit and link back to you tomorrow. Please let me know if this is a problem in any way. Thanks for being so clever and sharing with the rest of us! You are too kind 🙂 You have my permission to share. I always say, play with your food. Love the jack o lanterns, even though you only decorated them and didn’t “make” them!! 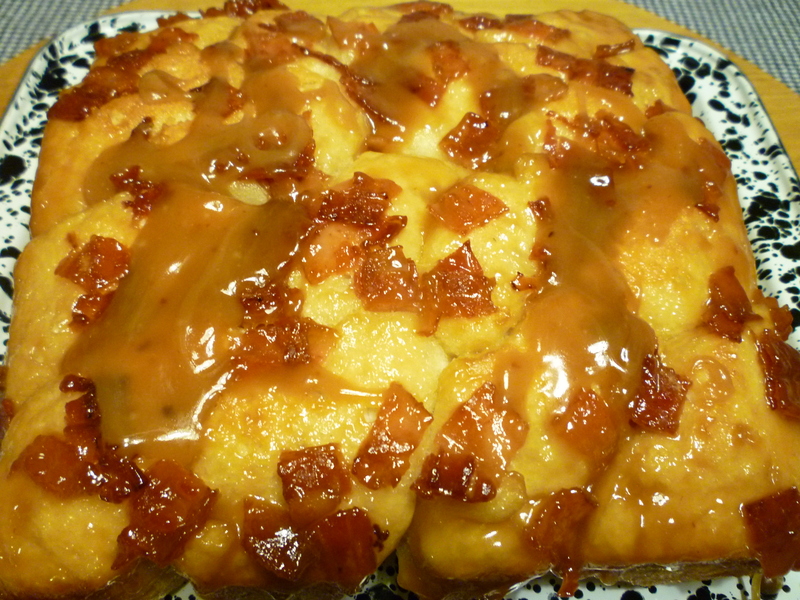 Maple Bacon Biscuits – sounds better than bacon chocolate cake!! You really are a genius! !